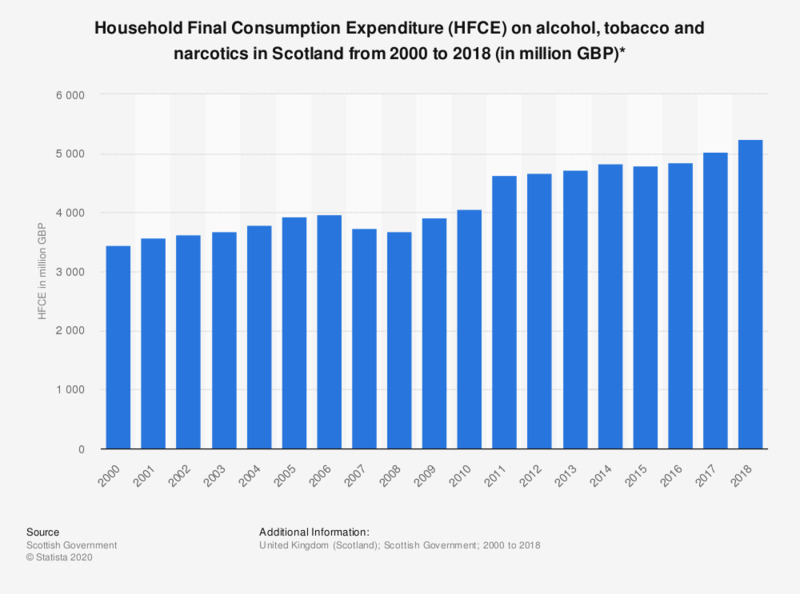 This statistic shows the household final consumption expenditure (HFCE) on alcohol and tobacco at current prices in Scotland from 2000 to 2017. Despite a decrease in expenditure between 2007 and 2008, household spending on alcohol, tobacco and narcotic products increased over this 18 year period. In 2017, this spending amounted to approximately five million British pounds.